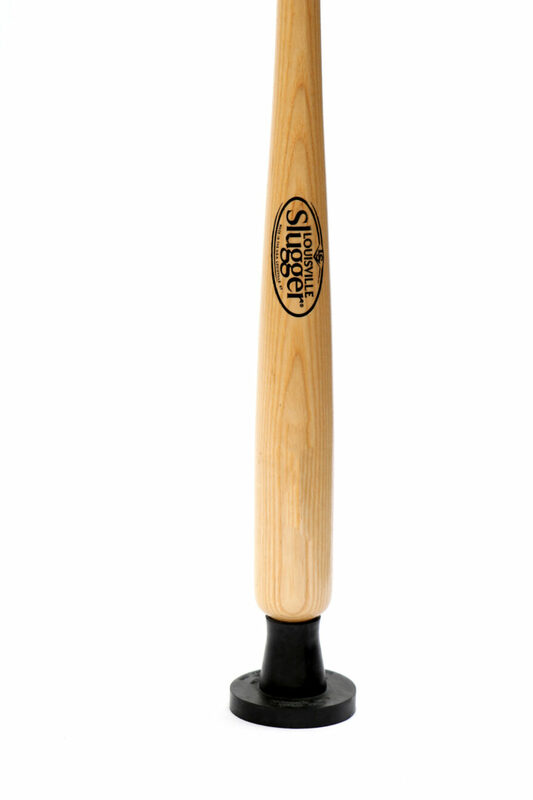 The	Original Louisville	Slugger® Baseball	Bat	Walking	Cane is made from a solid northern white ash baseball	bat, crafted to perfection and still proudly made in Louisville, Kentucky, USA. 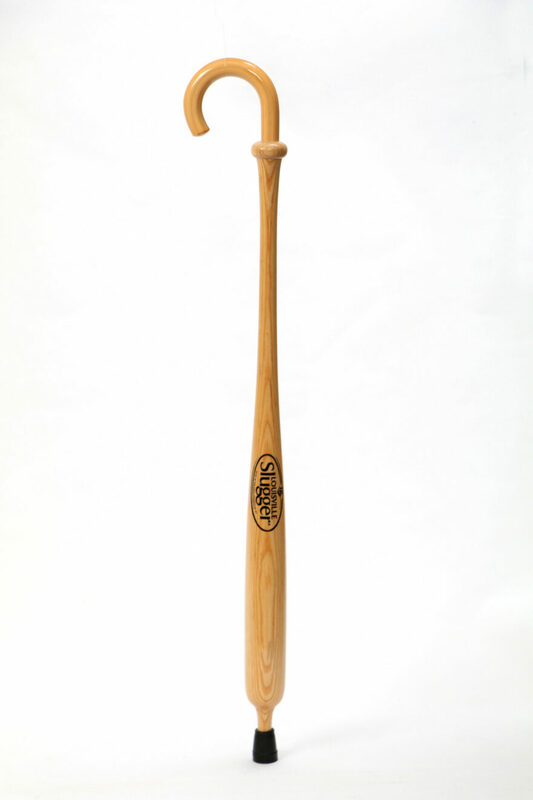 The Baseball Bat Walking Cane	is a perfect gift for baseball	fans. Rugged, functional,	and	providing secure support. Topped with a firm and comfortable handle, and a non-slip rubber foot,	the	Baseball Bat Walking Cane is the ultimate accessory	for	the baseball enthusiast. 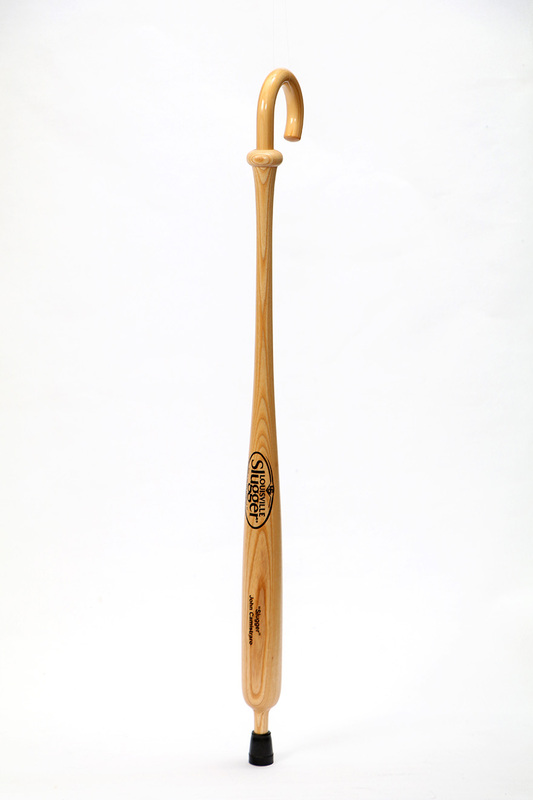 Just like the bats themselves, the Baseball Bat Cane is made in the USA. We gave this cane to my brother. We've been trying to get him to use a cane for a number of years. He wouldn't, until now. He loves it. All his children and grandchildren have signed it. I took him to the Phillies game yesterday and it was a big conversation piece. People kept coming up to him to see the cane. It is well constructed and gives our family peace of mind knowing he will use it. Received one of your canes as a gift from a close friend today and could not be more pleased. Weight is optimal and the height is quite comfortable. Took a short walk tonight after work and received two compliments. Thank you for an excellent quality cane. I wish you continued success. Thank you so much for the quick shipping. My father-in-law was delighted with his new walking cane. As a baseball fan, there couldn't have been a better walking cane for him to use! He is so proud of the personalization. fabulous. He is thrilled to have it and has received so many compliments. He is fighting cancer and your cane made his day. He played baseball in high school and college, and is a huge baseball fan. He loves his cane and I can't thank you enough for making this product.